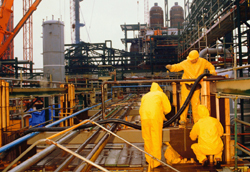 CRADDOCK offers a wide range of activities in hazardous materials management. 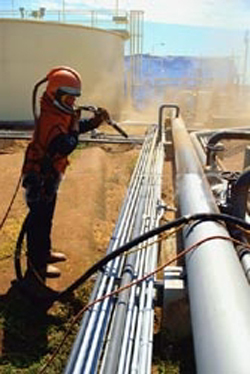 We have been operating in the oil and gas industry for more than 37 years in all phases of the industry, from drilling through production and maintenance, and managing various projects in the remediation of hazardous waste in the US and abroad. We are presently assisting production operations in the desert regions in Libya, identifying areas of concern where NORM is present in production streams and rotating equipment. 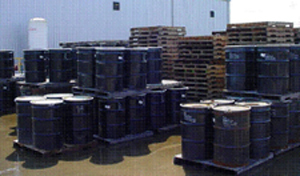 CRADDOCK offers a cradle-to-grave approach in managing hazardous waste. Having professionals on staff certified in radiology management, we are able to measure and map NORM contamination throughout facilities and offer plans of remediation that are both safe to the employee as well as the environment. 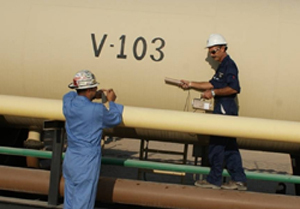 Our capabilities include writing plans and procedures to assist in the every day maintenance routines where NORM is present, providing safety for all operating staff. We are also experienced in the transportation of hazardous waste, loading security for shipment and preparation for all necessary and applicable documentation and registration. 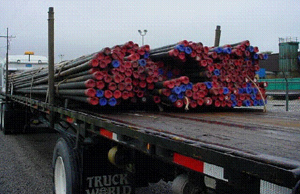 We have secured items ranging from drill pipe to contaminated waste in open containers, in accordance with area laws and standards within our operational regions. When managing temporary hazardous storage facilities, we ensure that all documentation is complete, filed and registered for proper and accurate inventory controls. All items being received go through a rigorous identification process where hazard levels are checked to ensure the item is documented properly and accurately before being accepted. Inventories are managed according to area laws and standards. We offer expert engineering in the efforts of building permanent hazardous waste landfills. These engineering practices use the most recent, up-to-date materials and designs in building areas for safe storage of hazardous materials. Particular care is given to the protection of underground water aqueducts to ensure that drinking water supplies remain safe to all public and industries operating in the area. The following is information regarding operational controls and definitions of NORM, one of today’s greatest areas of hazardous waste that affects the oil and gas industry. 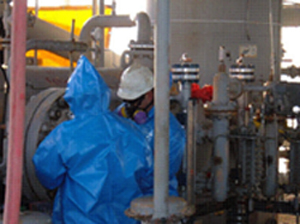 We train and monitor personnel from around the globe in managing NORM contaminated waste in facility operations. What is NORM (Naturally Occurring Radiation Material)? Oil and gas NORM is created in the production process, when produced fluids from reservoirs carry barium sulfate up, to the surface of the Earth's crust. Barium, calcium and strontium sulfates are larger compounds, and the smaller atoms, such as Radium 226 and Radium 228 can fit into the empty spaces of the compound and be carried through the produced fluids. As the fluids approach the surface, changes in the temperature and pressure cause the barium and radium sulfates to precipitate out of solution and form scale on the inside, or on occasion, the outside of the tubulars. 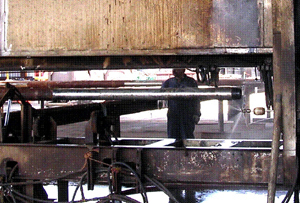 The use of tubulars in the production process that are NORM contaminated does not cause a health hazard if the scale is inside the tubulars. Concentrations of the radium 226 and 228 may also occur in sludge that accumulates in oilfield pits, tanks and lagoons. Radon gas in the natural gas streams concentrate as NORM in gas processing activities. Radon decays to Lead 210, then to Bismuth 210, Polonium 210 and stabilizes with Lead 206. 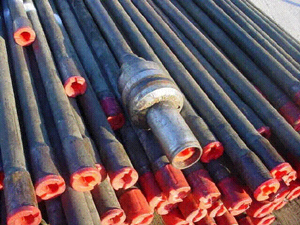 Radon decay elements occur as a shiny film on the inner surface of inlet lines, treating units, pumps and valves associated with propylene, ethane and propane processing systems. NORM characteristics vary, depending on the nature of the waste. NORM may be created in a crystalline form, which is brittle and thin, and can cause flaking to occur in tubulars. NORM formed in a carbonate matrix can have a density of 3.5 grams/cubic centimeters and must be noted when packing for transportation. NORM scales may be white or a brown solid, or thick sludge to solid, dry flaky substances. Exposure to radiation may cause detrimental effects on the human body. For some effects the severity increases with the amount of radiation received. These are called "deterministic effects" for which a threshold exists. For other effects the severity is independent of the dose and it is assumed there is no threshold. These are called "stochastic" effects and the probability of occurrence is proportional to the dose. Cancer is an example of these stochastic effects. • Protect its personnel, contractors, 3rd parties and the environment against the hazards of exposure to ionizing radiation due to NOC and its subsidiaries activities. Ionizing radiation is, amongst others, caused by Naturally Occurring Radioactive Materials (NORM) produced from deep reservoirs to the surface as a result of oil production operations. All activities with, or related to, ionizing radiation sources are to be documented in procedures. Adherence to these procedures will be audited.